First Floor 1050 sq. ft.
Width 36 ft. 0 in. Approx. Height 16 ft. 0 in. 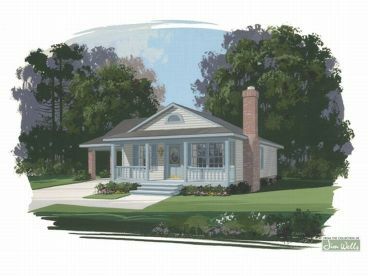 This delightful 1,050 square foot house plan is designed as a "starter" home or an "empty-nester". It also lends itself to a vacation atmosphere and is well suited for a narrow lot. Inside, a vaulted ceiling gives an airy feeling to the dining and living area. With the cozy fireplace offering warmth, this space is just right for gathering. The streamline 9'x11' kitchen enjoys ample counter space making light work of meals. 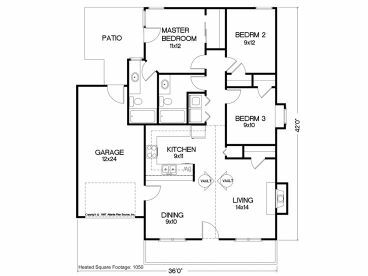 A master suite measuring 11'x12' boasts a large closet, a French door leading onto a patio and a spacious master bath. 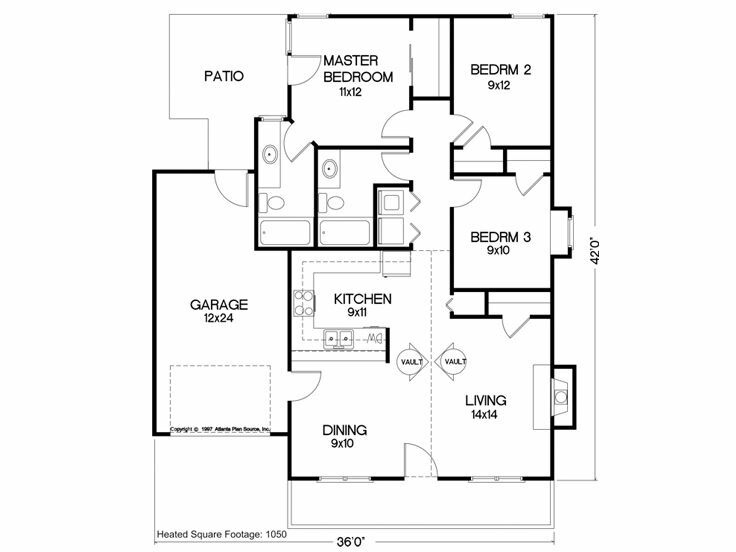 The two remaining bedrooms share a hall bath. You’ll find convenience with the washer and dryer tucked inside a closet. Whether this is a vacation getaway, seasonal home or your permanent residence you are sure to find comfort with this narrow lot ranch design.